Cyclone 5 (515mm) is available in Silk Black or Glazier White and choice of 2 alternative heights; Cyclone 6 (615mm) or Cyclone 7 (715mm). 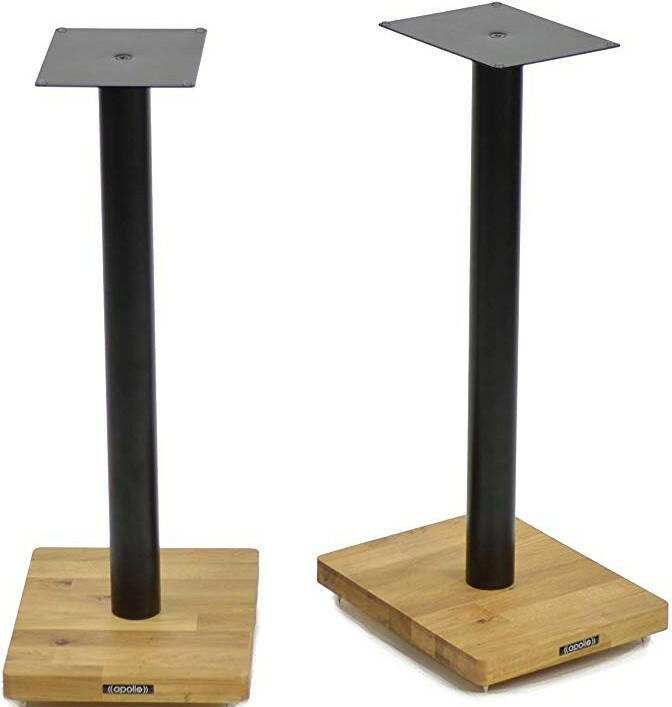 Apollo Cyclone 5 Speaker Stands, is part of the all-new Cyclone series speaker stand, featuring a natural solid oak base panel which helps minimise mechanical resonance and a 50.8mm centrally located tube that can be mass loaded to help tune the supported speakers. The standard top plate size is 150mm wide and 200mm deep with a smaller optional 130mm wide by 170mm top plate pack available should support for a more compact set of speakers be required. 6mm BZP spikes and locking nuts are supplied for the base panels to assist in isolating and levelling the stands and microgel pads are included for the top plate to prevent speaker slippage and to help dampen any residual speaker cabinet resonance. 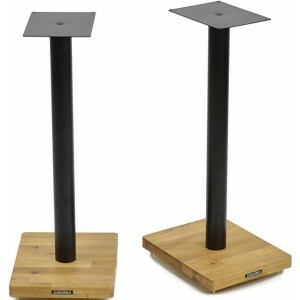 These functional, tuneable and attractive Oak-based speaker stands offer fantastic value and will make a valuable contribution to your bookshelf speakers performance. 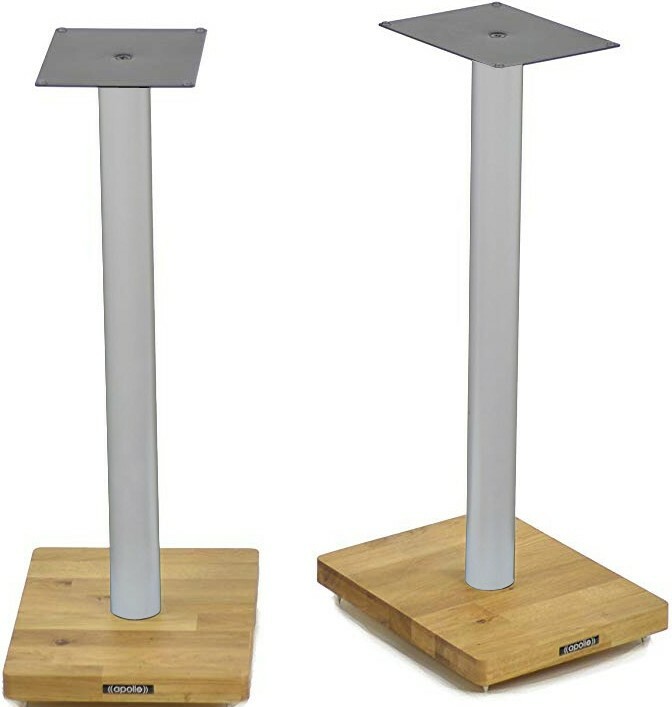 All Apollo Cyclone speaker stands are supplied in pairs and are manufactured in the UK.